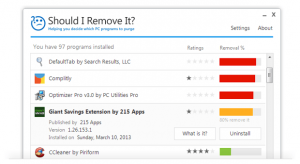 How to get rid of bloatware - Tecdr Tech Security Blog. Since Lenovo hit the news because of the bloatware Superfish that they had preinstalled on some of their computers, how do you know if your computer or one you are intending to buy has bloatware preinstalled on it. Bloatware can take up valuable hard disk space, hog memory resulting in your computer running slower and taking longer to boot up (start up). There may also be bloatware installed in your computer that you might never know is there which is what happened with Lenovo. You can get software that will find and remove bloatware on your computer and three of the best available are listed below. If you have a brand new computer install one of the above packages and run them before you install anything else on your computer and you will have a faster and safer computer. If you have a computer that you think may have bloatware, then install one of the software packages mentioned above. It is worth noting that the more expensive a computer is you will find less bloatware or even no bloatware on them. If your computer is not new you can still install and run the packages above. 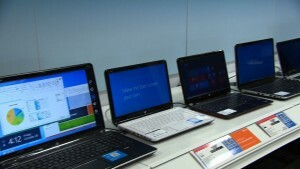 If you are planning to buy a computer in a store, go to the store and take a look at what they have on offer. You will notice that beside each computer is a brief description of the computer and its specification as seen below. Take a note of this or take a photo and do this for all the computers that you are interested in. Once this is done, go home and check online the full specification of each computer. You will see what bloatware is installed on the computer such as trial versions of anti-virus software etc. What you won’t see is any hidden software that maybe installed on the computer but the software packages that I mentioned earlier will find them and uninstall them for you. 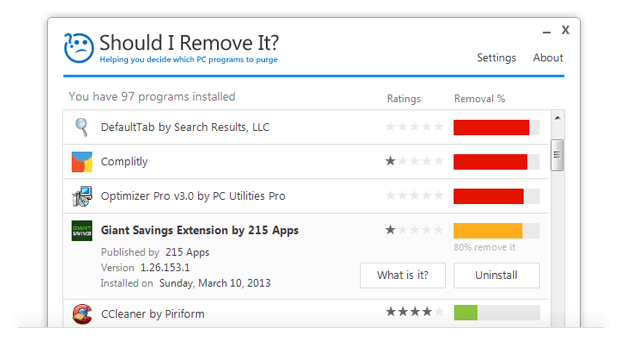 I hope my guide on how to get rid of bloatware was useful and if you have any queries please contact me.